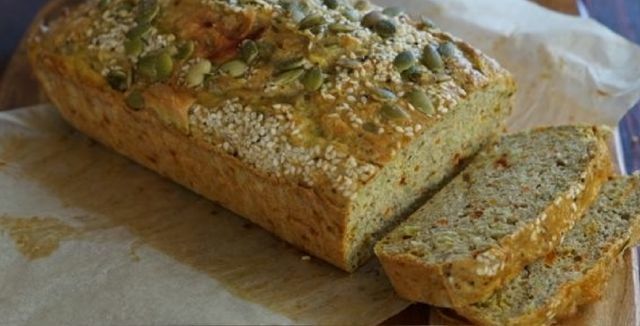 Paleo Savoury Bread Loaf Recipe. We’re not going to lie, some days we just feel like a piece of toast with butter. Well stop the press because we’ve answered our own prayers! Paleo bread! This Paleo Savoury Bead Loaf is seriously AMAZE-BITES! In fact, we ate the whole thing in one day (we don’t recommend this). 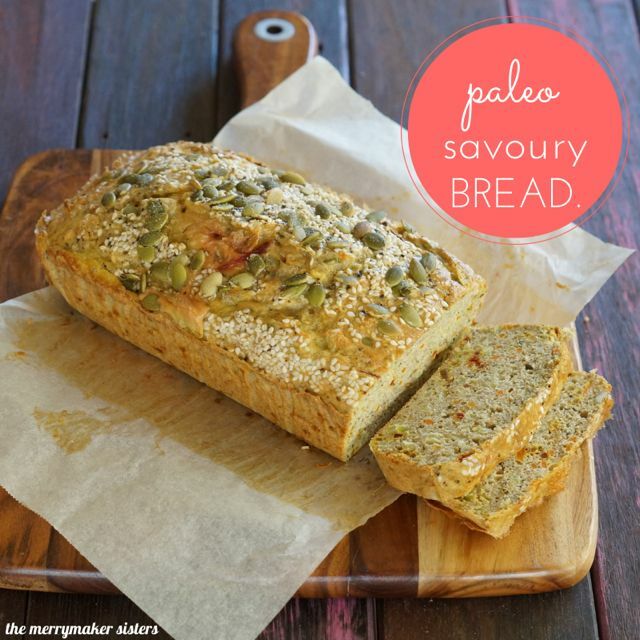 We are so excited about this paleo savoury bread! Yes, it’s a little different to a regular loaf of bread… it ain’t fluffy is what we’re saying! No, it’s much MUCH better! It’s dense, and moist (errk we hate that word!) and taaaaaay-sty! Make a loaf, then slice and freeze the pieces individually for those days you’re craving a piece of toast with avocado, a ham and mustard sandwich, a piece of toast to soak up your egg yolk or what about a piece of bread with melting butter (drool!). ps. share pictures of your paleo bread with us on social media! Use #themerrymakersisters so we don’t miss them! Preheat oven to 180 degrees celsius and line a 20 x 10cm loaf tin with baking paper. In a mix master (we just use our Vitamix) mix the eggs and butter on high speed, until fluffy (about 2 minutes). Add the chia flour, coconut flour, baking powder, onion flakes, basil and salt and pepper. Mix again on medium speed until combined. Transfer this into a mixing bowl and add the grated carrot and seeds. Stir well. Transfer the mixture into the prepared loaf tin and top with extra seeds. Place in to the oven for 40 minutes or until golden brown on top. Allow to cool for 10 minutes before slicing into desired sized pieces (we like to do ours thin!). If your loaf is still a little too moist on top after 40 minutes in the oven... leave it in a little longer! This was inspired by the Paleo Cafe Lifestyle Cookbook!